Transparency and consistency with certification of the security management system (SMS). 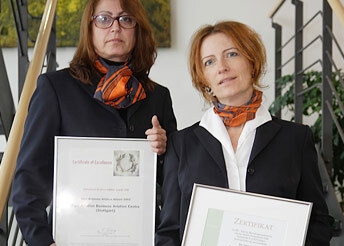 Kurz Aviation's quality management processes are also certified. Kurz Aviation Service already standardised all their processes up to a high level in 2002 to record the quality of their services. These performance standards are tested by independent institutions: TÜO, the technical watchdog from Böblingen carried out an audit in July 2003, awarding certification according to DIN EN ISO 9001:2000. Since 2003, Kurz Aviation's services have been transparent and their performance continually measurable.